Tesla is slightly ahead of schedule with its gigafactory and now plans to begin producing batteries there by the end of 2016, according to the company’s fourth quarter shareholder letter. Previously Tesla said it would deliver batteries starting in 2017. 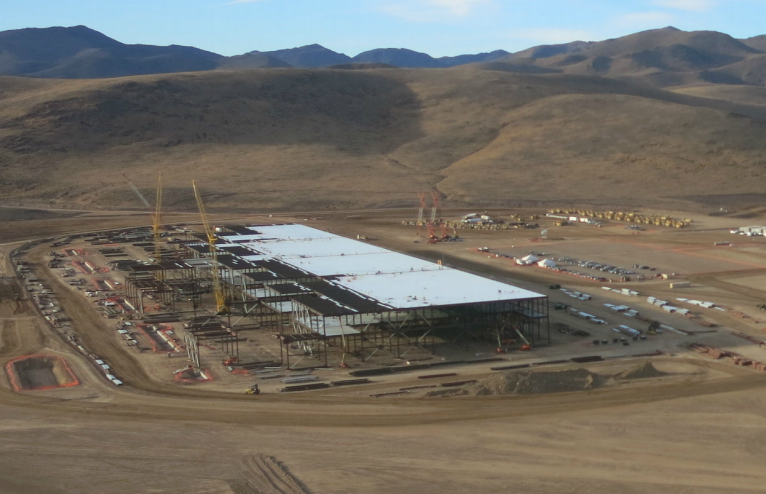 Construction of Tesla’s gigafactory is underway. Construction on the enormous factory’s structure began two months ago, according to the letter. Equipment installation will begin later this year. But Tesla missed analysts estimates, which were expecting earnings of 32 cent per share for the quarter. Tesla posted a loss of 13 cents per share instead. As a result Tesla’s shares dropped close to 3 percent in after hours trading. Tesla built 35,000 Model S vehicles over the course of 2014, but, as projected at the end of the third quarter, it wasn’t able to deliver all of them. Instead, 1,400 vehicle deliveries were pushed to the first quarter of 2015. Tesla attributed the delivery delays to “one-time manufacturing inefficiencies” created by the introduction of new features and the dollar’s strong performance. Revenue for the fourth quarter (GAAP) was $957 million, up from $615 million for the fourth quarter in 2013. Net loss (GAAP) was $108 million or $(0.86) per share, up from $16 million or $(0.13) per share in the same quarter in 2013. Automotive gross margin (GAAP) for quarter four was 22 percent. Tesla expects to deliver 55,000 Model S and X cars in 2015, compared to 35,000 in 2014. It expects to produce 10,000 of those in the first quarter.